Planning on dressing up as an enchanting elven beauty or an adorable bunch of green grapes for Halloween? Perhaps you want to complete your Poison Ivy costume with a bit of glam or maybe you need the perfect finishing touch for your Tinker Bell costume. Well, these Green Glitter Shoes are the perfect addition to any of those costume ideas and many more! Green is a color that many people associate with wealth and good health. It is a reminder of growth and success, so when everyone sees these glitzy gals covering your feet they will instantly fall in love with them. One could say that these shoes will have people turning green with envy! These stunning high heels will also go fantastic with any St. Paddy’s Day outfits you had in mind. 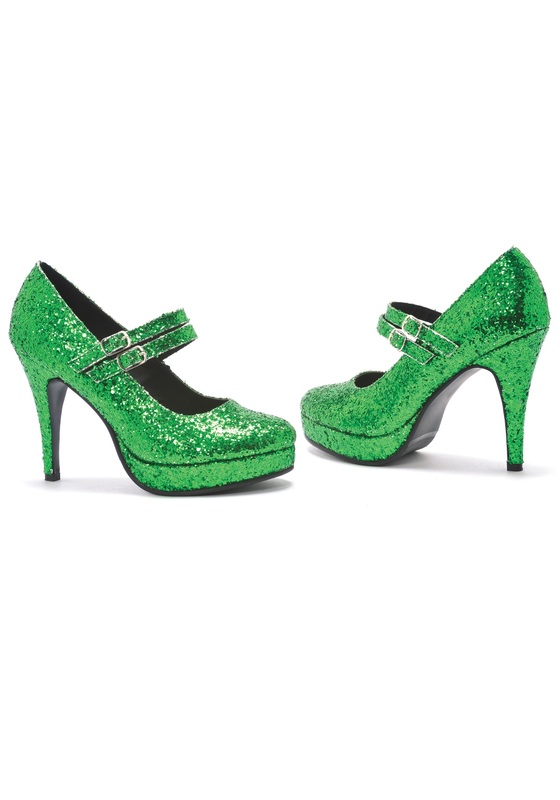 Whether you’re dressing up as a leprechaun or just wearing as much green as possible, these sparkly shoes will be perfect for going green for any holiday celebration! I saw thee green shoes and knew they would be perfect for my St. Patty's day outfit. My normal size is 6 1/2 or 7. I decided to order the 7 because of being an on line purchase, most times run small. Glad I did. These shoes were everything that I wanted except a little on the small size. I loved them so much I am currently in the process of stretching them ~ I looked like Cinderellas's step sisters trying them on, but persistence paid off, YAY! !